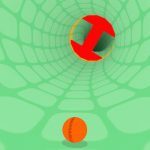 Ball Pack is a brand new unique endless runner created by the masters of casual gaming Ketchapp for Android and iOS devices. 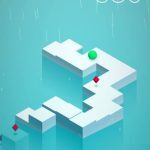 If you are familiar with Ketchapp’s previous mobile games, you will know by now how they like placing a rolling ball into different situations where you overcome obstacles in order to gain higher scores. Well, this game takes things to the next level by adding a multitasking aspect. Instead of controlling that lone ball, you will be controlling multiple balls on multiple lanes. Prepare for the ultimate test of concentration as you control up to four balls on four different lanes! 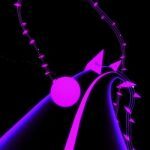 It isn’t enough that you need to overcome obstacles as you progress in an increasingly challenging course, you will have to do it on the correct lane or your run for all four balls will end. Things can get chaotic in a matter of seconds, so make sure you check out our Ball Pack cheats, tips and tricks in a complete strategy guide before getting started! When you start out in Ball Pack, you will find that the obstacles on different lanes mostly come at the same speed. This makes it easy for you to time your taps in order to make the correct ball jump over the incoming obstacles. However, do not assume that it will always be like this. In fact, the further you progress, the more varied the obstacle speeds will become. You will need extreme focus in order to consistently tap on the right lane at the right time. Diamonds are the currency of the game. You can pick them up when you spot them during your runs but that would be a very rare occurrence. On top of that, you could accidentally hit an obstacle if you focus too much on finding diamonds. If you want a better way to earn diamonds, simply head into the shop. Tap on the video icon in order to watch an advertisement. After the video, you will receive a diamond. You can watch as many videos as you can or until the game runs out of ads. Now that you have some diamonds in your pocket, you can go shopping for new skins. You can buy skins for the balls, trails, and paths. Don’t worry if you don’t have a lot of diamonds because the most expensive skin is only around three diamonds. A lot of them can be bought for one diamond. You can also unlock some skins for free by following the game on Instagram and Facebook. Keep in mind that the skins are purely cosmetic and have no impact on gameplay, though. Since you have to be able to focus during the entire run, you need to make sure you are comfortable right from the start. Some people like playing with two thumbs, with each thumb in charge of two lanes. This could be effective if you don’t mind playing with both hands. Other people, however, still prefer to play with just one thumb since it is easier to react quickly this way. Try both methods and see which one works best for you. When you tap on the high scores button, you will be able to see the best scores in the game. These scores are based on the level you are on, and not on the actual score. Check this often to see how you fare against some of the best players from around the world. Keep pushing yourself to do better by targeting a specific rank and slowly working your way up the ladder. 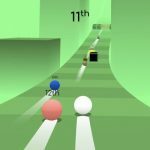 Controlling multiple balls on different lanes may seem like an impossible task, but with the help of our Ball Pack cheats, tips and tricks, you will be breaking top scores in no time!